(Bloomberg) -- Friday is the day Wall Street and Silicon Valley have both been waiting for. 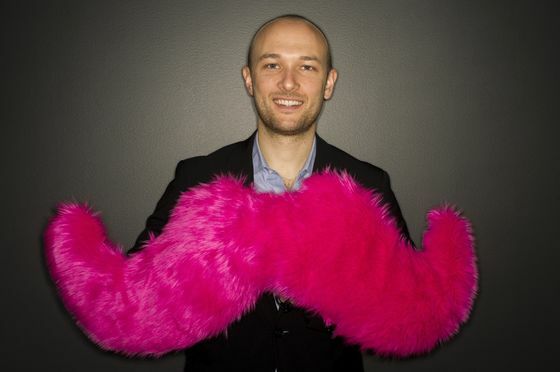 The first day of trading for Lyft Inc. will set the tone for this year’s class of giant private companies heading toward the public markets. But while today’s initial public offering marks the industry’s first real test, the final exam—a market cap that goes up and stays up—is still a ways off. 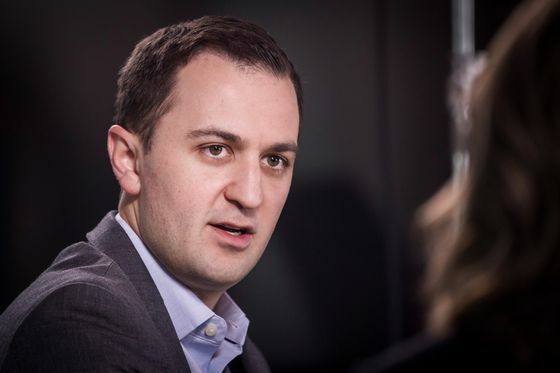 On Thursday, I spoke with Lyft co-founders Logan Green and John Zimmer, a day before Lyft shares were set to begin trading. I got about 10 minutes to fire questions at them ahead of regular investors getting a chance to buy their shares. First, I wondered, would the company be profitable within five years? My next question dove into a topic that I’ve been particularly obsessed with: Is Lyft going to prioritize market-share growth or improving margins? For context, Uber Technologies Inc. and Lyft have traditionally competed fiercely on price, closely matching each other on discounts for riders and bonuses for drivers on a city-by-city level. Some observers thought the two companies might cool off on competition ahead of their IPOs, but there hasn’t been much evidence of that. This issue seemed to take on new urgency when Lyft told investors during its IPO roadshow that 2019 would be its peak investment year (at least for the time being). That would presumably mean that Lyft would need to pull back on spending in 2020 even if Uber decided to double-down, leaving Lyft’s customers vulnerable to poaching. That’s a nice sentiment, but there’s plenty of evidence that price is very important to ride-hailing customers—and that pay is just as important to drivers. I also asked whether Lyft wanted to overtake Uber in the U.S. Zimmer indicated that remained a goal for the company. So, I guess, market share does matter to them at least a little. The conversation then turned to founder control provisions. Extra voting shares will give Zimmer and Green near-majority control over the company, a stark contrast to Uber’s one-share, one-vote policy. Green pointed to the company’s decision to name early investor Sean Aggarwal as the company’s independent chair. I asked if Lyft had found any particular corporate role models when they thought about the distribution of power. Zimmer responded, “We look to Lyft and the right setup for Lyft, and how to set things up to go for that long-term mission”—which I think is a no. Some analysts have complained that Lyft’s prospectus didn’t provide enough details for them to model out the company’s business. In a similar vein, I didn’t find Lyft’s co-founders particularly willing to answer pointed questions about their strategy, though they did say that they were focused on the U.S., not international markets. The company also said that it's planning to spend at least $50 million (or 1% of profits, whichever is larger) on cities’ transportation initiatives every year, in a new program called Lyft City Works. Zimmer and Green certainly understand the problem they eventually need to solve. I remain eager to find out how they’re going to do it. The Department of Housing and Urban Development accused Facebook of enabling racial, religious and gender discrimination on its ad platform, by allowing restrictions on which groups see housing-related ads. The department is also reviewing the ad platforms operated by Twitter and Google. New York: If you can’t make it there, try Texas. Amazon said on Thursday it would hire 800 engineers in Austin, Texas, in the company’s first major U.S. office expansion since backing out of plans for a campus in Queens, New York. But thanks to an influx of tech business, Austin residents are starting to complain of the same affordability and congestion woes as hubs like New York and the San Francisco Bay Area. Beijing’s Meituan makes it possible to place a delivery order for roast duck for $2.99. Ultra-low prices are part of the company’s very expensive rivalry with Alibaba in China. Join Bloomberg's flagship tech event, Sooner Than You Think 2019, on June 11 to 12 in London. Learn and be inspired by the world's most influential tech leaders. View the website here, and apply to attend.